Building hype for its official debut at the North American International Auto Show in Detroit, Michigan next month, Jeep just released a few pictures of the all-new 2019 Jeep Cherokee. Being the brand’s most popular model and one of the best-selling SUVs in its class, this redesign is a big deal and we should prepare to start seeing these things everywhere. 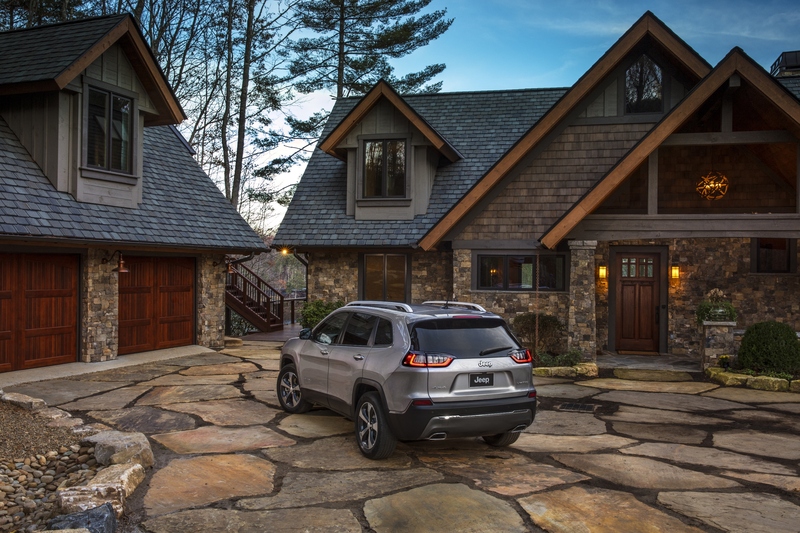 The overall shape of the new Cherokee is largely the same as the outgoing model. The biggest, most noticeable difference is in the headlights. Those thin, eyebrow-like headlights get a bit thicker giving the SUV a more conventional aesthetic while still looking decidedly more rugged than the softer competition. 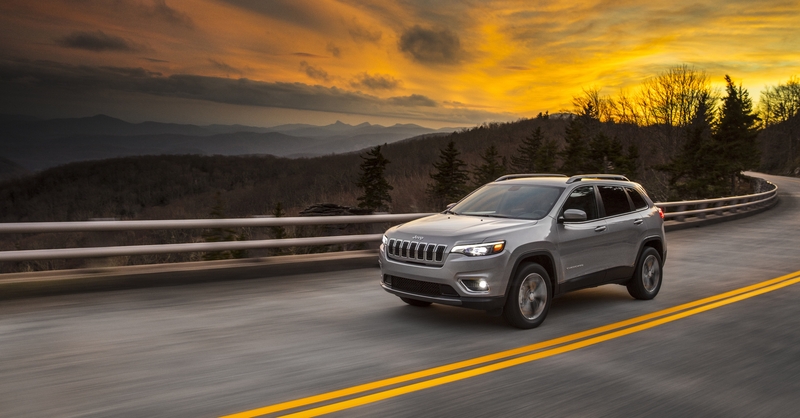 The new face of the compact crossover has a family resemblance to the new Jeep Compass. We get a good look at what is presumably the 2019 Jeep Cherokee Trailhawk. It has the signature red tow hooks that all Trailhawk models share along with a slight lift, black wheels, and black accents on the hood, grille, mirrors, and roof rails. We also see a non-Trailhawk Cherokee that looks like it could be premium enough to be a Limited model. A glimpse of the interior shows no significant updates, but it looks like a pleasant place to be. The press release doesn’t give us much information about the next-gen Cherokee other than what it looks like. Jeep calls the new look “a new, authentic and more premium design” and promises “even more fuel-efficient powertrain options.” We reached out to Jeep looking for specifics on those new powertrain options, but we were told no further details will come out on the new Cherokee until Jan. 16. Could a hybrid Jeep Cherokee be in the works? A surprisingly rugged crossover for the working class. Would you take a plug-in Wrangler off road?